BATTLE OF THE TITANS yesterday in BUCS 3B! Westminster 1st prevail winners defeating league leaders LSE 64-62 in another thrilling Harrow #BUCSWednesday! After trailing early in the 1st quarter, LSE 1st showed why they are the league leaders fighting back to take a 33-30 lead going into the 2nd half. The Dragons showed heart and intensity to match LSE’s physical play and with 2.1 seconds remaining in the 4th quarter, rookie Guard Vlad Petrea double pumped the defender in the air to hit the clutch game winning jump shot!! 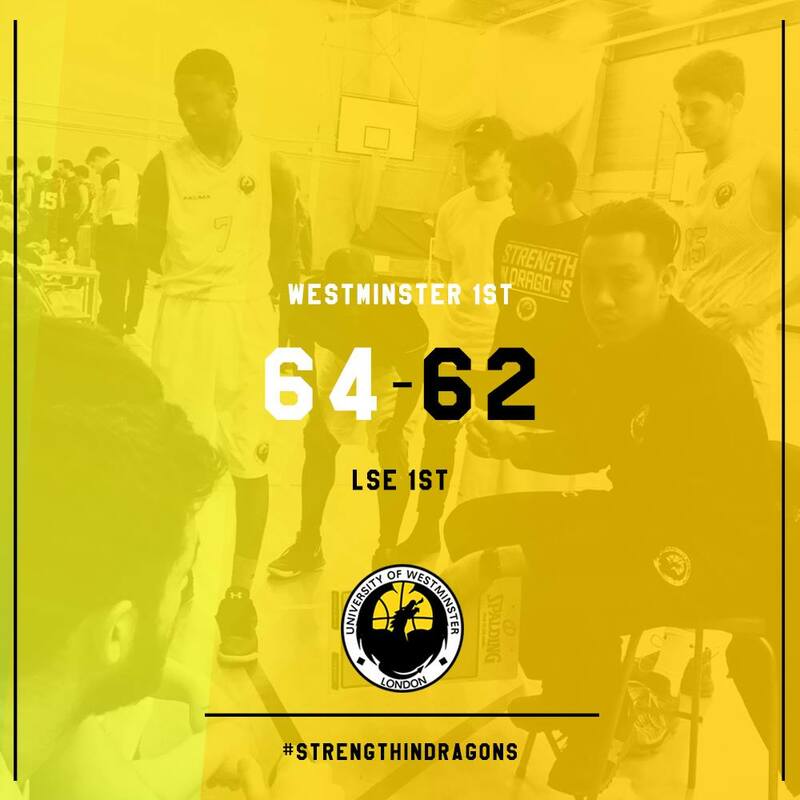 LSE 1st looks set to advance to BUCS 2nd Division as the league winners after Westminster’s default loss last week. “Promotion or no promotion. The team owe it to themselves. It’s been a long season and I’m proud of what they have achieved.” Coach Clive said after the win. Guard Vlad Petrea came alive in the 4th Quarter, hitting the game winning shot and a crucial 3 point shot the play before, finishing with 17 points. Rookie Ulhas KS impressed in his first ever BUCS start, scoring 15 points and captain Lemar Darien-Campbell contributed with 11 points. One more game left before Varsity 2017. The team face off with Queen Mary 1st in two weeks to cap off a turnaround season (8-4) for Coach Clive Castillo and the Dragons, who finished last year with a 3-9 record in BUCS all competitions.